Yesterday, 24 January 2017, the number of individual Swim Guide users hit 1,000,000. This is obviously a big deal for the Swim Guide team (we celebrate successes with giant cookies in our office). More importantly, this is a huge win for everyone who cares about swimmable water. 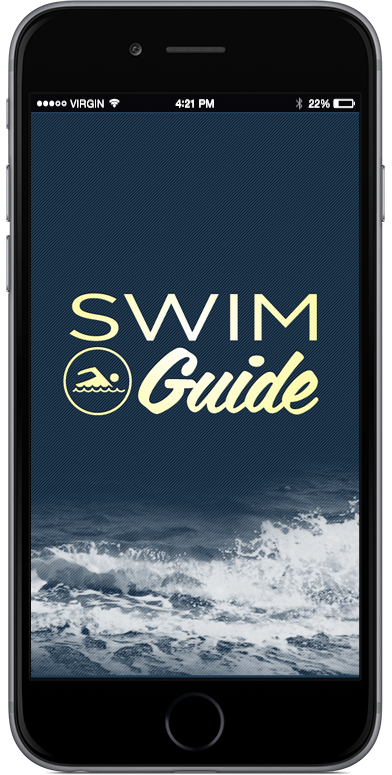 Swim Guide was launched in Toronto, in 2011. Sketched out on a napkin by Dylan Neild and Krystyn Tully at The Good Neighbour cafe, improved by smart people and trusted advisors, the app and website were developed quickly and with a pointed purpose: to answer the question “Can I swim here?” Their community first asked this question constantly about Lake Ontario, and then, increasingly, bodies of water around North America. 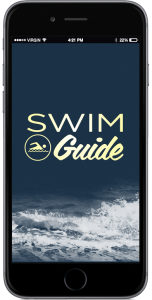 Swim Guide was created in order to keep up with the tall order providing current, reliable water quality for as many beaches, lakes, river, and swimming holes as possible. In five years, the question “Can I swim here?” has not changed. It’s been asked because people know that sewage and other water contamination can put them at risk of contracting recreational water illnesses. So far Swim Guide has been able to help answer that questions for over 7,000 beaches, in every province in Canada, and in 34 of the states in the USA. Swim Guide has information about beaches in Baja, and Baja Sur. Water quality information for over 700 beaches in New Zealand is also available, thanks to our national sponsor Pulse Energy. It’s not always easy for people to find out that their health could be at risk. Swim Guide updates water quality for the beaches based on test results from recreational water quality monitoring programs in municipality and county health units. Services like New York Nowcast, and Michigan Department of Environmental Quality’s BeachGuard are accessed for recreational water quality test results for Great Lakes Basin beaches. Swim Guide also relies on data from state and provincial park monitoring programs, and monitoring programs from environmental health departments. Test results from non-government monitoring programs, such as from NGOs like Ottawa Riverkeeper, Coosa Riverkeeper, the Coalición por el agua de Baja California Sur, and Surfrider are also shared on Swim Guide. Without these recreational water quality monitoring programs people would be in the dark about whether or not their health, and the health of their family and friends is at an elevated risk of illness or infection. The 70 Swim Guide affiliates are a testament to what happens when people know the quality of the waters they love. It’s not just about knowing whether or not a body of water met or failed to meet water quality standards. When information about water quality is consistent and reliable, action to understand and address the underlining issues that are behind poor water quality start to take place. At the end of the day, people just want to be able to swim. Because swimming, and surfing, and snorkeling, are awesome. People use the Swim Guide website and app to find out whether the water at their favourite beach, lake, river, or swim hole is clean enough for swimming. People from all over the world come to Swim Guide to find new and wonderful places to surf, swim, and sunbathe. A big thanks to our partners, our sponsors, and to recreational water users everywhere. Swim Guide Affiliates, in particular, work hard every day to ensure that you have up to date water quality information. Their data powers Swim Guide. Their hard work makes a swimmable water future possible. To the county and municipal health units running monitoring programs in the US, Canada, and New Zealand: thank you for investing in science and for your commitment to your community’s health. Thank you for sharing your knowledge with the public. You are helping to prevent waterborne illnesses. You are helping to restore waters. And to the 1 million Swim Guide users: never stop asking about your beaches, lakes, rivers, swim holes: “Can I swim here?” Your questions are changing the world.